The final stage of the West Link is to commence following the award of the £10.1M construction contract to a local company to build the additional swing bridge and roundabout, with the associated realignment of General Booth Road. Following a tender exercise, The Highland Council has awarded the contract to RJ McLeod (Contractors) Ltd from Dingwall. The contract is within the overall budget for completion of West Link Stage 2, as agreed in the capital plan in March 2018. It is anticipated that the work will commence late May. The Council will provide details of the construction programme and will continue to work with the local businesses and communities to minimise any disruption caused by the construction works. West Link Stage 2 is the final section of the West Link and includes the construction of a second swing bridge over the Caledonian Canal to the South of the existing Tomnahurich swing bridge. Starting South of the new access to the Golf Club, General Booth Road will be realigned further East and link into a new roundabout on the A82. A new link road will connect this roundabout to a new swing bridge and on to Queens Park Roundabout constructed during Stage 1 on the East side of the Canal. This tandem bridge arrangement will allow the free flow of vehicle traffic on the A82 to continue, while boats pass through one or other of the open swing bridges. There will normally be two routes available for vehicles to cross the canal and vehicles will be diverted over one or other bridge, only while the other is open to allow boat passage. Operation of the bridges will be managed from a new control building located on the canal side between the two bridges. Having completed construction of the new golf clubhouse and maintenance building, Compass will later this month start work on the bridge control building. The works are programmed to be complete in December 2020. This will bring a conclusion to the West Link Project which has seen the completion of the link from the Southern Distributor Road at Dores Road to the A82 including crossing the River Ness on the new Holm Mills Bridge, new sports facilities at Canal Parks including synthetic pitch and clubhouse and a relocated golf course, also with associated new clubhouse and maintenance facilities. The residual land from the old golf course will provide additional amenity and recreational areas, and also provide development opportunities, which have been the subject of recent public consultation through the Torvean and Ness-side Development Brief Update. Land to the South of the A82, including a new Torvean Park will be accessed from a fifth leg of the proposed roundabout, which will also allow local access to the canal towpath and to a new base for Jacobite Cruises. Leader of the Council Margaret Davidson welcomed the news. She said: “The first stage of the West Link has been a great success and both the road and active travel routes are being very well used, reducing congestion in the city. This stage of the West-Link will bring many more benefits to the area, including reducing journey times for many. The second swing bridge will be an enormous bonus to keep the traffic flowing on the A82, especially with an aging Tomnahurich Bridge. 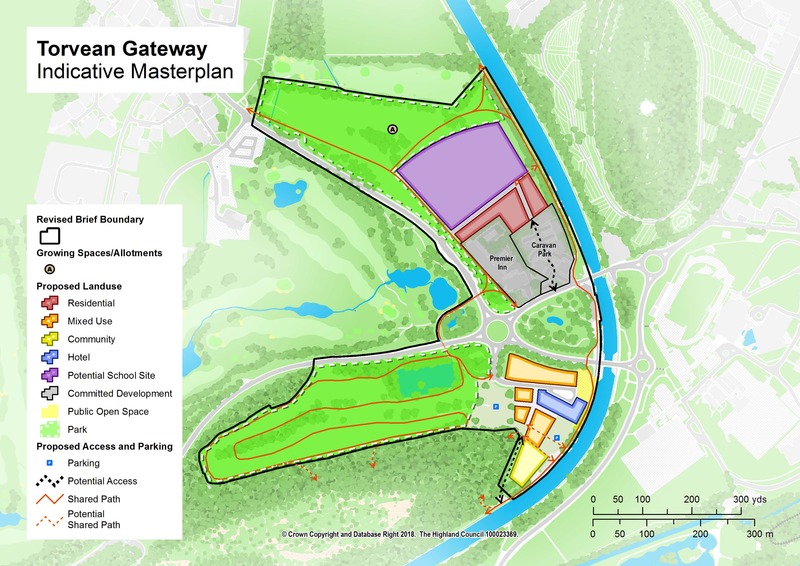 “Another feature of this project will be the new parkland adjacent to the canal, which will be opened up for everyone’s enjoyment, using the beautiful parkland setting of the former golf course with Loch na Sanais. Stage 1 of the West Link, which forms the link from Dores Road to the A82, was successfully completed and opened to traffic in December 2017. The Development Brief for the surrounding land will be taken to the Area Committee for approval in May, underlining the positive role the Council is playing in enabling better access to this area with safe, traffic-free routes, as well as opening up development opportunities adjacent to the canal and new park. The £55 million West Link project forms part of the Inverness and Highland City-Region deal which is a joint initiative supported by up to £315 million investment from the UK and Scottish governments, Highland Council, Highlands and Islands Enterprise, and the University of the Highlands and Islands, aimed at stimulating sustainable regional economic growth.